Hi yall! I stumbled across this site after looking on the net for stories and info on flex spoons. Im a kneeboarder, live in Ventura and have been away from surfing for the last 10 years. We just moved back here to Ventura and have the urge to get back in the water. I surfed from the age of 16 to about 33. My Son started showing interest in surfing so I took him out to a safe spot to let him try out a longboard. I "tried" to catch a few on my kneeboard but the waves were too soft. I did have a great time watching him get stoked. Anyway long story short I became very interested in this "Paipo" so I ended up calling Paul from Hawaii Paipo Design( what a nice guy!). He told me all about paipos and how even a big guy like me could fly on most any wave. I took my Son to the Point, waist to chest high kinda mushy. My son stood on my kneeboard and to experiment I took out my older Son's skimboard. Im sure a few were scratching their heads. I caught two waves with it and was amazed that i could ride a mushy wave on a peice of plywood. 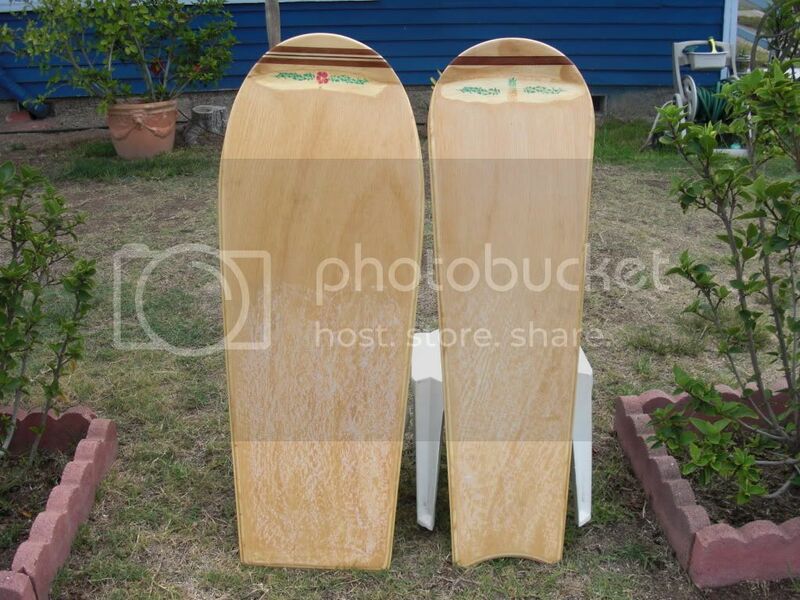 Im now going to order a board from Paul but in the mean time I think I wanna make one. Any way kinda long winded but thats where I am now. Just wanted to introduce myself and post a hello to all you wave riders. Hello ClanB & welcome to the forum. I live in Ventura, ride an HPD, Austin, ply paipos, mats and my son surfs with me as well! If you want, pm me and you are welcome to try things out. They are all good and all different. Hay thanks! Sounds great. What is your favorite spot? Right now my favorite place is the one that wont kill me as im just getting back into shape. 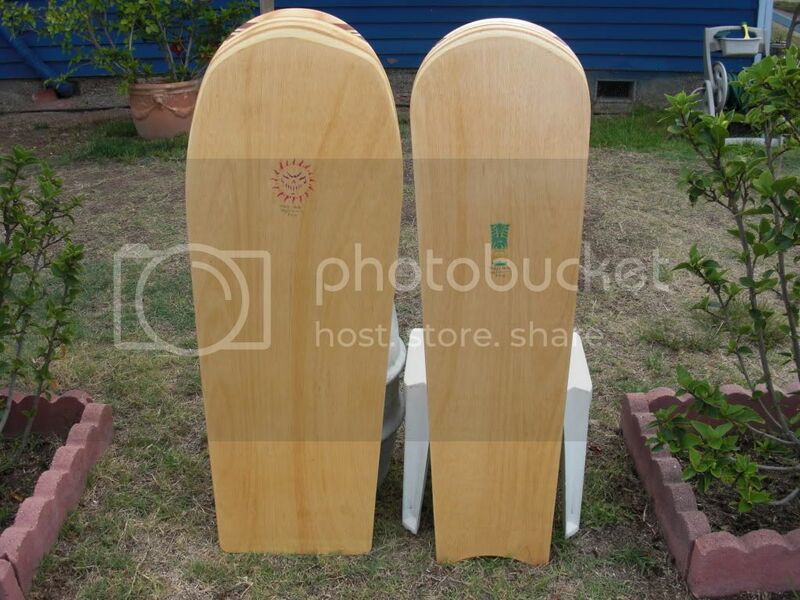 I think Ima try to make a plypo this next week. Im looking on the net now to see what kinda wood to use. Id like a bit of float so I have a nice place to rest on. My paipo experience is sort of like raising kids. What I thought would be I am wrong! My family is laughing at me now. Like I said you are welcome to try mine. Making paipo's is like sort of like eating chips. I know this is the wrong forum but here goes....How the heck to I get a spoon front end with out adding wood and sanding? In other words what is the easiest way to bend the plywood? You can soak it in hot water then clamp it in a press to the shape you want or take thin sheet of wood about 1/16" thick and make your own ply clamp it in your press when the glue dries it will take that shape. I find glueing wood block to the nose then using a body grinder to shape it works good for me. It's amazing what can be done with some plywood, glue and a little imagination. In addition to the advice above, trawl through these old threads. If you do a search of the forum with the term 'steam' you should get all the above threads.